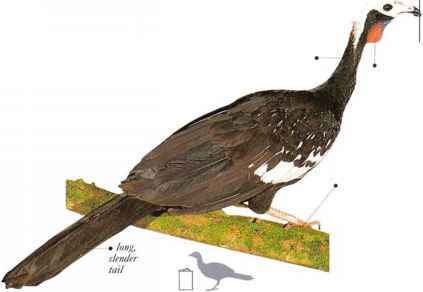 Looking like a slender gamebird with long neck, legs, and tail, this species inhabits forest, scrub, and thickets, spending much of its time aboveground. 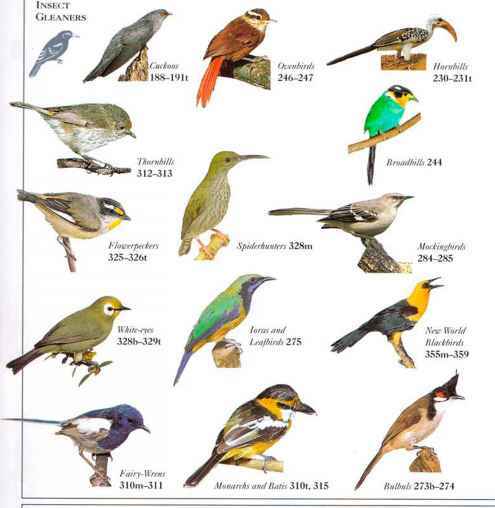 It usually occurs in small parties, walking along branches and feeding on fruit, buds, and leaves. The name is a version of the birds' harsh call, which is uttered in chorus, mostly at dusk and dawn. The whole flock roosts together in thickets; and small young clamber and flutter up to roost with their parents, each under a wing. • NEST a small platform made of twigs, placed in dense tree foliage at medium height. • Distribution distribiition s.e. Texas to Nicaragua.